The multi-function ECOSYS M3660idn is designed for ease of use. 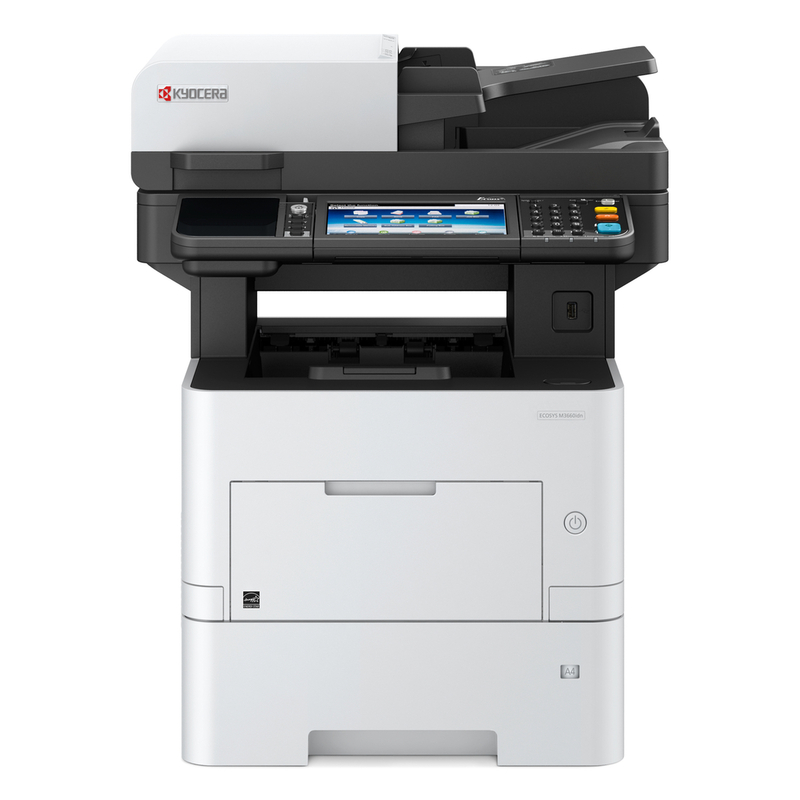 This robust print, copy, color scan and fax solution offers impressive performance, with speeds up to 62 ppm, exceptional print quality, standard Dual Scan Document Processor and high paper capacity in a small footprint. Kyocera ECOSYS MFPs provide advanced office solutions that enable businesses to achieve fast return-on-investment, with minimal impact on the environment. Specifically, ECOSYS M3660idn utilizes imaging technology that is comprised of our patented long-life drum and separate toner cartridges. This eliminates drum replacement when toner is depleted, reducing both cost-per-print and landfill waste. As such, Kyocera’s best-in-class ECOSYS MFPs support our customers’ sustainability initiatives–while driving down operating costs.